The total value of Abu Dhabi's trade in pearl, gemstones and precious metals for the first quarter surged to Dh4.7 billion ($1.3 billion) from Dh3.3 billion ($898 million) for the same period last year, said a report. The 42.4 per cent growth was driven by entrepot, including the non-oil commodities coming to the emirate through its different ports of entry, including sea, air or land, reported state news agency Wam, citing data released by Abu Dhabi Statistics. The volumes of pearl, gemstones and precious stones re-exported across ports of entry in Abu Dhabi during the first three months also registered solid growth hitting Dh2.103 billion compared to Dh719 million during the same period last year. On a monthly basis, the value significantly jumped to Dh110 million from Dh491 million last year, it stated. 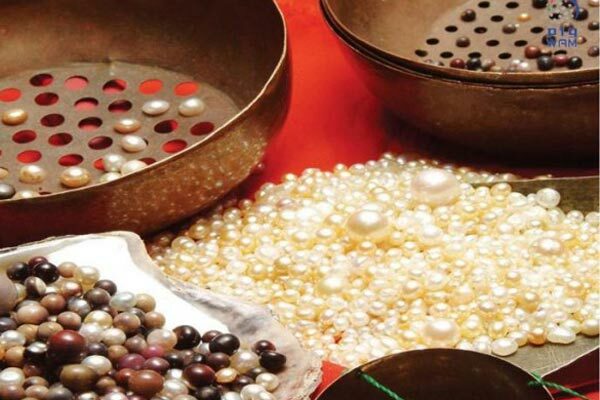 According to industry suppliers, the sustained growth in pearl, gemstones and precious metals is attributed to the prestigious standing now boasted by the UAE being a main hub for this kind of trade, affirming that the demand over pearl and precious metals will increase over the coming period. The imports rose to Dh2.39 billion during Q1 2017 from Dh220 million over the corresponding period last year, it added.